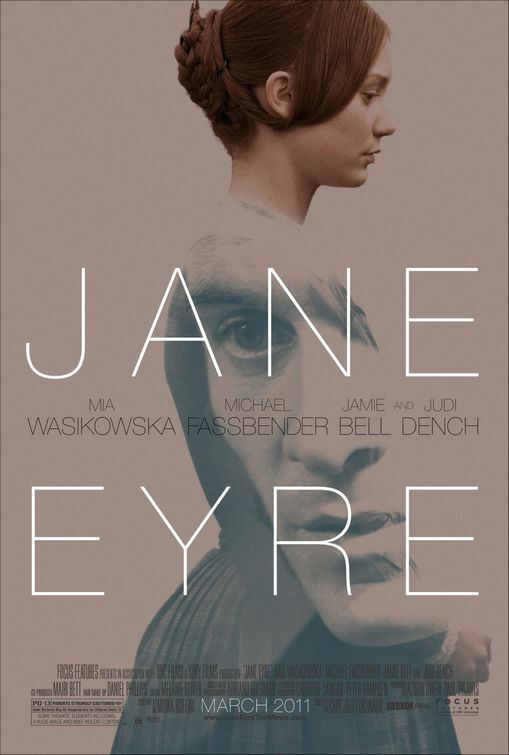 This year sees the latest in a long line of television and big screen adaptations of Charlotte Bronte's classic British novel, Jane Eyre, this one directed by Cary Fukunaga and starring Mia Wasikowska as the titular heroine and Michael Fassbender as her love interest 'Edward Rochester'. 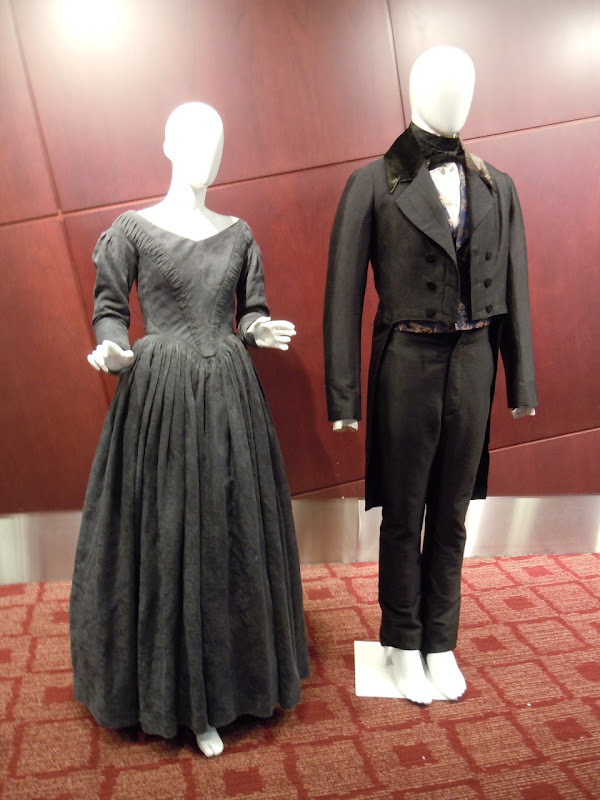 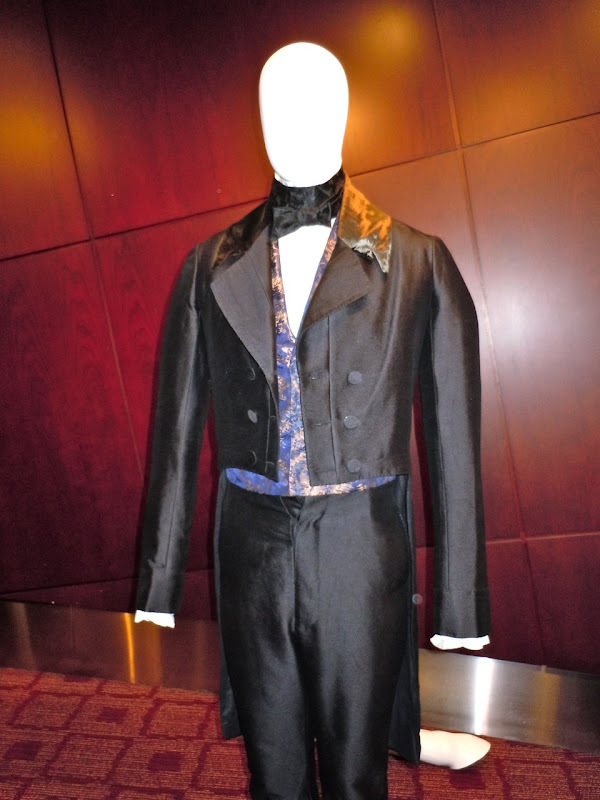 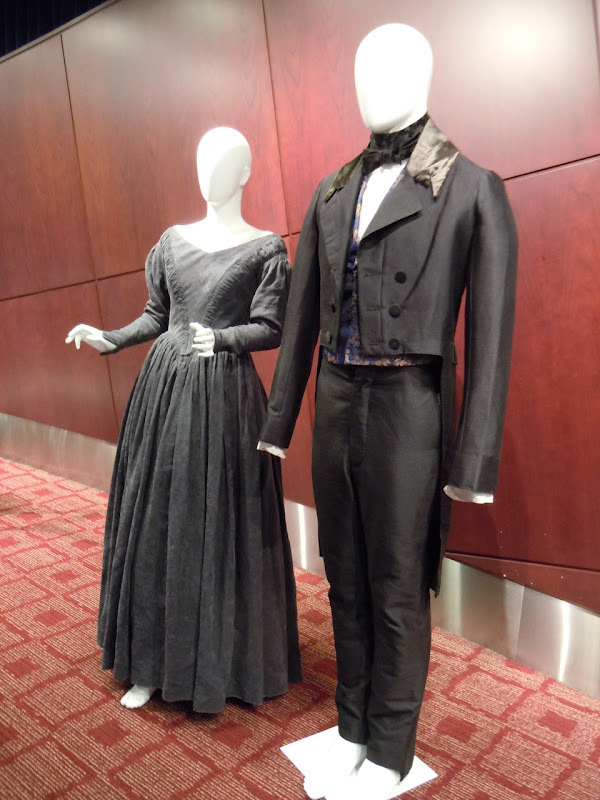 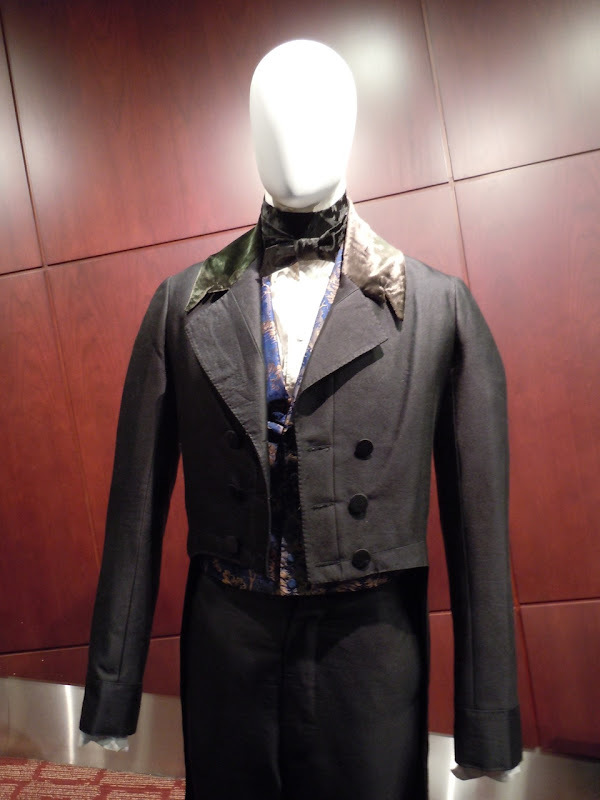 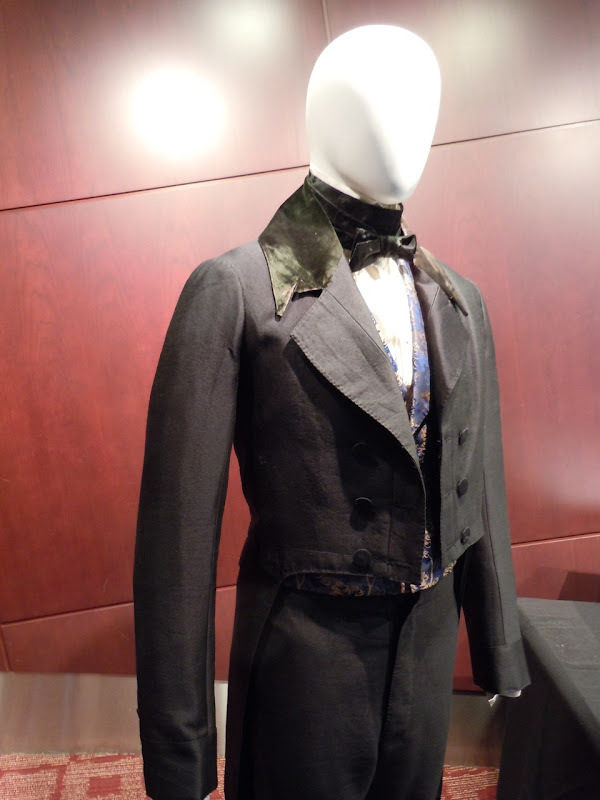 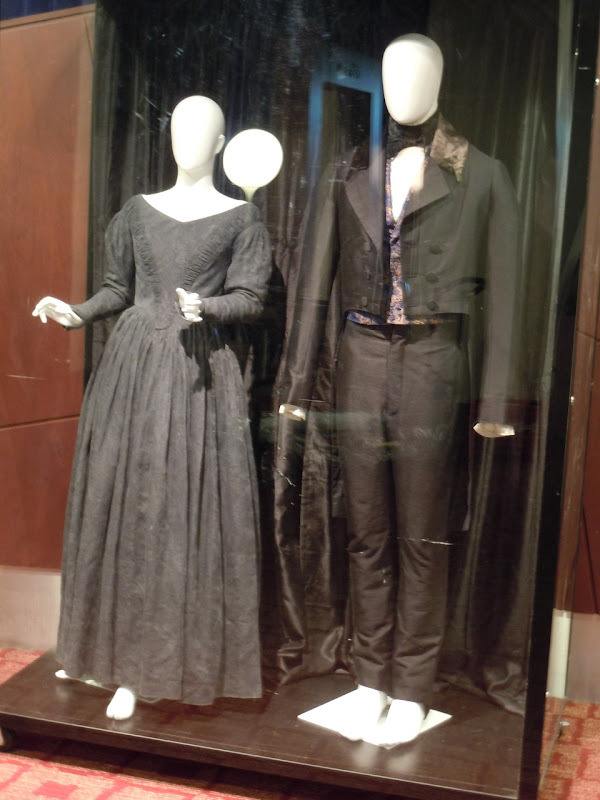 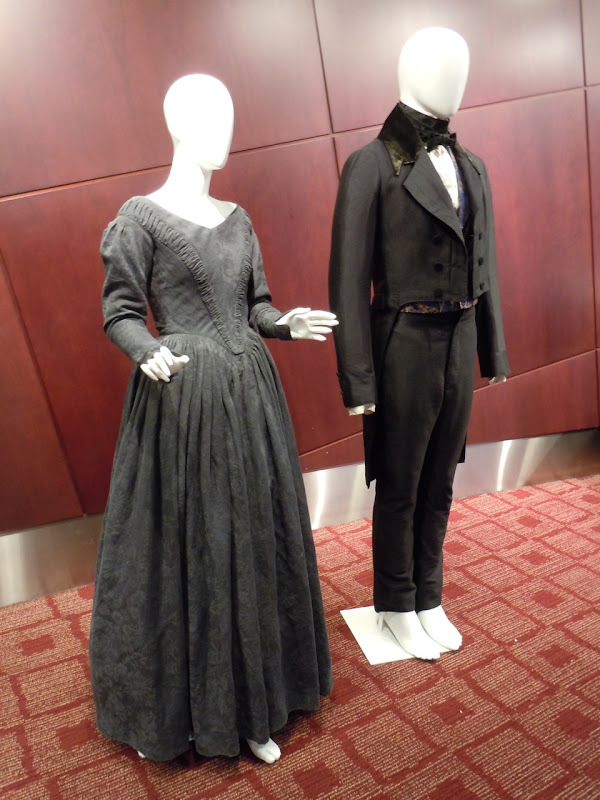 These costumes on display to publicise the movie's cinematic release were designed by Michael O'Connor and are apparently worn for the proposal scene in the movie. 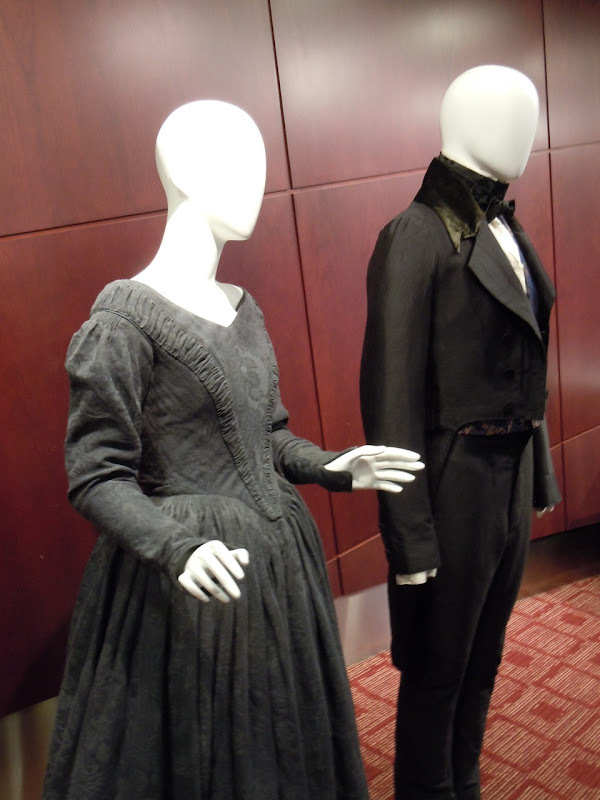 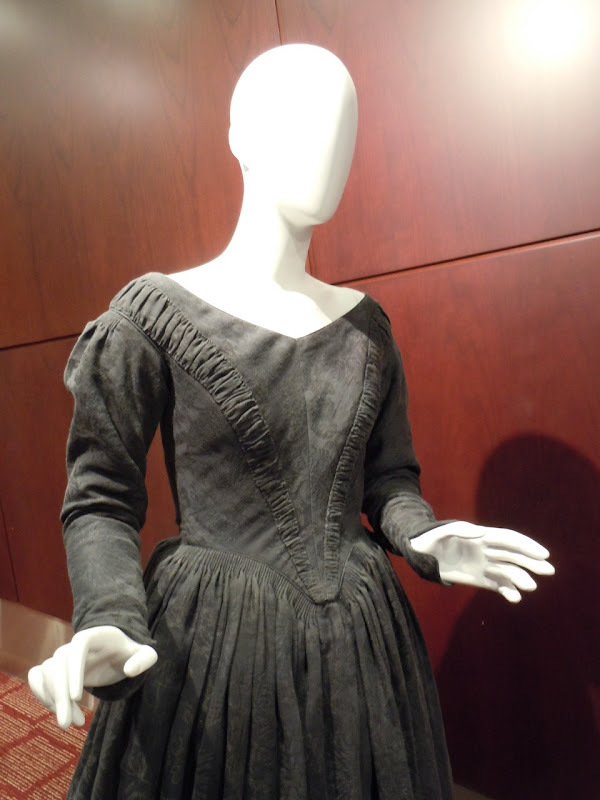 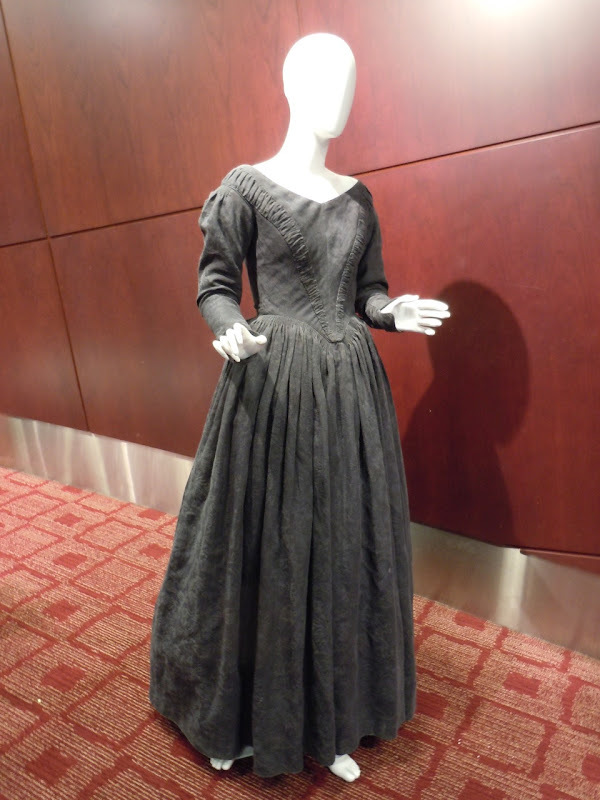 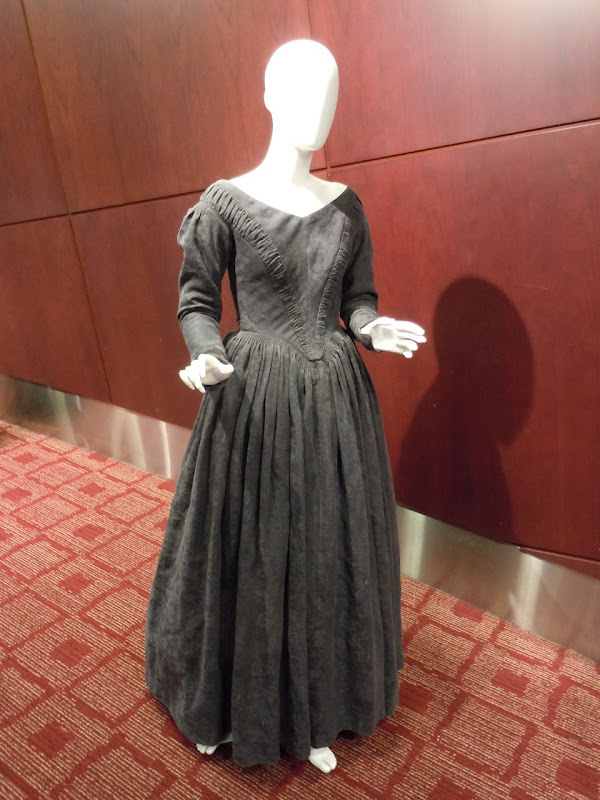 If you like these English 19th century style costumes, be sure to check out another dress worn by Mia Wasikowska in the movie, plus wedding outfits from Jane Eyre. 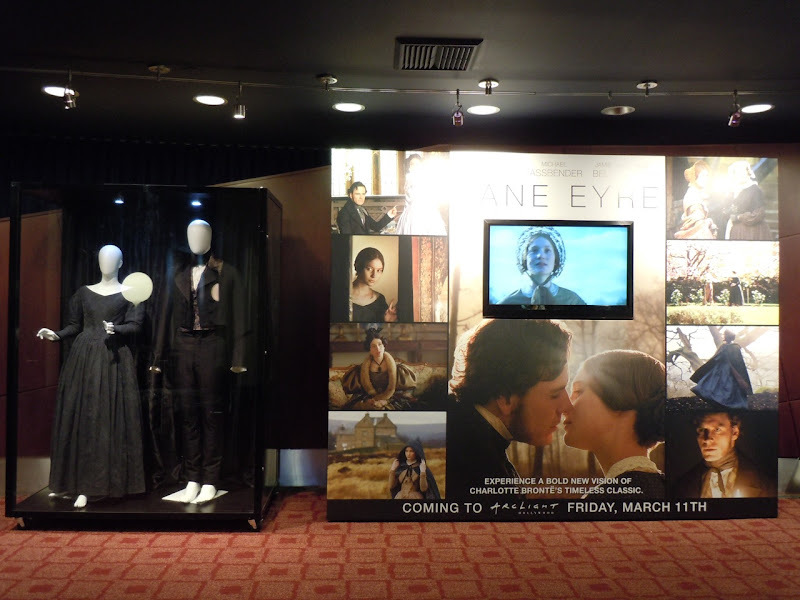 These period costumes were photographed on display at ArcLight Sherman Oaks cinema on March 4, 2011 and were installed by Olson Visual.